Skywest has announced an order for five ATR 72-600 turboprops, which will bring the fleet of ATR 72s it operates for Virgin Australia to 13. 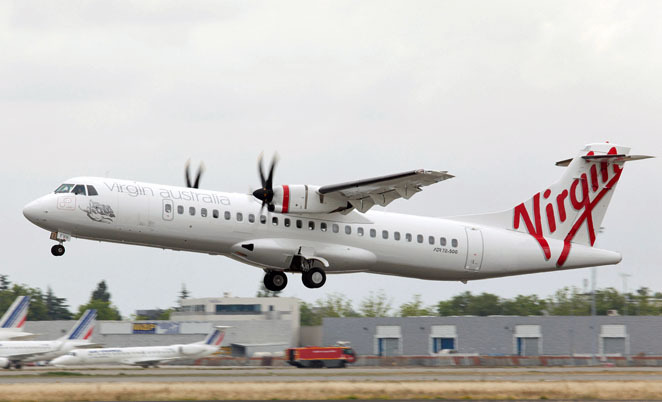 Skywest Airlines has announced plans to add five ATR 72-600 turboprops to the regional fleet it operates on behalf of Virgin Australia. 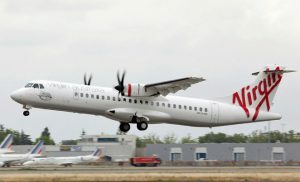 Skywest already operates four 68-seat ATR 72-500s for Virgin on routes out of Brisbane and Sydney. It expects to take delivery of four 68-seat 72-600s, early next year. The latest five ATR 72-600s are scheduled for delivery between early 2013 and early 2014. Those five aircraft brings to 13 the number of ATR 72s ordered this year by Singapore based leasing company Avation PLC for Skywest Airlines. The new also includes options for eight -600s. The list price of the agreement, including options, is over US$295 million, according to ATR.